One of the better hip-hop releases of this year: good, unfussy beats that don't have to blow your speakers to blow your mind. A resident DJ of Detroit's St. Andrews Hall for more than a decade, House Shoes has spent close to 20 years developing a fan base of established underground artists. From the guest list of Let It Go this is obvious. The track list reads like a who's who of underground veterans: Guilty Simpson, Roc Marciano, Chali 2na, Black Milk, and The Alchemist. When Danny Brown brings one of the weakest verses of 20+ rappers, you know the talent level is high. But the rapping on Let It Go plays second fiddle to the guy who made it all happen. 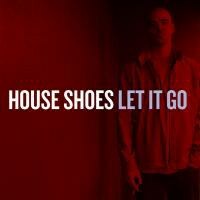 Representing the polar opposite of the blockbuster production that a newcomer like Lex Luger brings, House Shoes creates beautifully minimal and graceful beats, from instrumental jazz to starry-eyed synths to old-school breakbeats, whether for a guest rapper or for the beat to speak for itself, as on the hauntingly introspective instrumental "Empire/Get Down". The result is a more cohesive album than most tight rap collectives. It's rare for an hour of hip-hop to fly by this fast, and even more rare to find an album that flows so well. The near-perfect pacing drags a toe just before crossing the finish line, with three of the longest compositions coming in the last four tracks, but House Shoes does what the best DJ/Producers do: he gives the artists a suitable canvas without overshadowing them. His sick beats and sensibility for collaboration embody the spirit of the Motown resurgence. J Dilla would be proud.